OurEnergyPolicy.org | Are Microgrids the Answer to the Increasing Complexity of Electricity Markets? The state of California is faced with the challenge of reaching its carbon emissions reduction and renewable portfolio standard goals while maintaining the safety and reliability of the electric supply and protecting the economic interests of the ratepayers. In addition to AB 32, which calls for reducing greenhouse gas emissions to 1990 levels by 2020, the state also has a Renewable Portfolio Standard goal of 33% renewables by 2020. The California Public Utilities Commission (CPUC), the California Independent System Operator (CAISO) and many stakeholders have been working on policies, technologies and market mechanisms to reach these goals. Managing the effect of intermittent renewables on the grid is one of the critical challenges we address in making the transition to renewables. One of the primary goals of grid modernization (aka “Smart Grid”) is to adapt grid management to account for the effects of intermittency in real time. Smart grid technologies can aid in solving both the technical problems and the market integration problems of decentralized generation. This is critical, as the grid-scale picture is getting increasingly complicated and expensive to monitor and control, due to the rapid growth of distributed generation of all types and scales. Microgrids are one possible solution to these challenges. Microgrids, part of the Smart Grid toolbox, are autonomously managed and powered sections of the distribution grid that can be as small as a single building, or as large as a downtown area or neighborhood. Automation and digital communications are used to manage rooftop solar, small scale combined heat and power systems and storage systems, along with matching supply to demand. Heating or cooling may also be a part of a microgrid. Microgrids can efficiently manage smaller sections of the grid, according to the local demand patterns and availability of renewable resources. They can also disconnect, or “island” from the larger grid to provide higher reliability. Can microgrids reduce complexity and increase options for electricity market participants? What are the major barriers to microgrid implementation, and how might they be overcome? Are there other approaches, besides the microgrid, that might be employed as well? *Views and opinions in this discussion are my own, do not reflect any position or policy of the CPUC and are not related to any ongoing proceedings. Can microgrids reduce complexity and increase options for electricity market participants? What are the major barriers to microgrid implementation, and how might they be overcome? 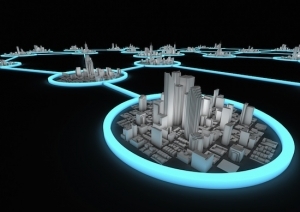 24 Responses to Are Microgrids the Answer to the Increasing Complexity of Electricity Markets? Microgrids are one tool in an arsenal of arbitraging conventional energy (which has variability), renewables (of which only two of the five have variability), energy storage, and energy efficiency (electric load reduction). Putting brains in the grid is a big plus and it will enable electric utilities to know in much greater detail and faster about outages, line overloads, and issues that might lead to inefficiencies. Distributed generation that is dedicated to certain loads, are also another important tool. Dispersed renewable generation tied to thermal and electric storage can independently power critical infrastructure such as cellular towers, pipeline pumps (fuels, water, sewage), signal lights, etc. that are most susceptible to cyberterrorism that traditional grids or microgrids might not be able to handle. Larger-scale use of high-value energy efficiency that reduce electric loads by more than half that reduces electric power fluctuations, transmission & distribution line congestion, and sheds peak electric loads in the third critical tool. There is no one silver bullet, but greater reliance on optimum energy efficiency, distributed dedicated generation, and smarter microgrids are a portfolio of tools that are critical for the next generation of energy services..
Scott, thanks for your comment. I wonder if you have a specific idea about how rate structures can or should be organized around these changes to the grid. As you know, electric industry restructuring, or deregulation, decouples generation from transmission and distribution. This could potentially create an opportunity for a microgrid developer to supply electricity in a deregulated market, if the cost of electricity in the microgrid was low enough to compete with wholesale electricity. However, customers would still be subject to volumetric T&D charges, along with potentially needing to pay standby charges if the microgrid could island. This picture changes somewhat if the microgrid operator paid a fixed charge for distribution services within the microgrid, and could offer a bundled rate that was competitive with the total bundled charge available on the market. Once again, though, the picture changes considerably in states that don’t have deregulated markets or are partially deregulated, like California. The microgrid developer could offer the bundled retail customer a power purchase agreement (PPA), similar to a solar PPA, but this would be based on a net metering structure, which implies that the generation is behind the customer meter and would have to be designed to overgenerate. Is there an alternative to net metering to implement microgrids for bundled retail customers? Dave, you hit on a key issue here. Microgrids would have to be sized and produce power at a cost low enough to be “competitive” to be considered a Qualifying Facility by FERC. At this point, I don’t think that is the case. Uses of microgrid produced power by universities, hospitals, etc. has been for the generating entity itself, and not for interconnection to sell. FERC’s recent Notice of Proposed Rule Making on interconnection regulations for generators under 20 MW may help, although there remain significant regulatory and legal challenges have to be addressed. Regarding economics, would customers be willing to pay more for increased reliability of microgrids? The participation rate in optional utility green pricing programs has been low (averaging 2%, with California being way above average) but reliability is a much more tangible benefit than carbon reductions. Customers would have to be aware of the T&D and standby fees. I can see this working in new multi-use development where customers purposely buy into such a community for the microgrid and sustainability benefits. Rural electric coops would make good test cases for resolving these pricing and interconnection issues, particularly if microgrids could provide frequency regulation service for the bulk power system (presuming energy storage or other quick ramping capacity). Dawn, you’re absolutely right, and the distinction has to be made between the types of generation interconnection that are allowed under the current regulatory regime (in CA). Let me preface this by saying that I am not an attorney and the following is only my opinion regarding interpretation of the regulations. There are basically only three types of distribution grid interconnection that are recognized under the current interconnection rule in California (Rule 21): 1) Wholesale Distribution Access Tariff (WDAT); 2) Rule 21 “self-gen”; 3) net metering (also defined in Rule 21). Type 1, WDAT is probably the most applicable to microgrids, but the economics are the most prohibitive. This is because sales of power from that generator are cleared through the wholesale market, at wholesale generation prices. So there is the whole problem of wheeling that power back to the customer. That can’t be done in CA today because we don’t have retail deregulation. The power would have to be wheeled through the utility, which means that it would be subject to utility bundled tariffs. It also has to be visible to the ISO, which increases the cost of the generation. You definitely have economies of scale coming into play here with this type of generation, the the benefit of microgrid organization would largely be lost with this type of interconnection. Types 2 and 3 apply to generation that is on the customer side of the meter, and is primarily serving customer load. Limited exports are allowed, but the primary purpose of the generation can’t be for power export. Although extremely limited in terms of capacity that would be available to the microgrid, the benefit of these types of generation is that they can be available to the customer on a “power purchase agreement” (PPA) basis. This allows an arrangement directly between a third party and customer, where the customer purchases power at an agreed upon price that is produced by the onsite generation. The customer doesn’t own the onsite generation, but instead either leases it, or pays a price to the third party that includes O&M, equipment cost and other fixed costs. This price is then expected to compete with the bundled price paid to the utility. This arrangement works because the metering arrangement “nets out” the T&D costs. Her recent book on this subject outlines a ten year proof of concept study of the Azores power system. http://link.springer.com/book/10.1007/978-0-387-09736-7/page/1 It is based on governance principles outlined by Nobel Laureate Economist, Elionor Ostrom in her book “A General Framework for Analyzing Sustainability of social‐Ecological Systems,” Science 325, 419 (2009). Ilic considers the use of DR, FACTS, synchronous wind turbines, look ahead predictive generation dispatch methods, EV storage, adaptive load management, optimal placement of wind plants, IT, and other tools in order to minimize the amount of fossil fuels consumed while also providing affordabable and reliable electricity services. This is a very interesting discussion about how to address intermittency while also minimizing the cost of generation and transmission investments as well as carbon emissions. Minigrids can also trade energy with the central system as Professor Ilic said. Alejandro – Yes, good comments. Adding to this dialog is “Americas power plan” which was just released yesterday and covers these ideas in more detail. http://americaspowerplan.com/ Prof Ilic was one of the reviewers. Thanks very much for your comments, and Jim, for sharing the work of Prof. Ilic. I reviewed the slide deck from Prof. Ilic, and am working through “America’s Power Plan.” At the risk of controversy, I would say this: Neither Ilic’s work, nor APP seem to question continued reliance on a basic grid architecture that is based on utility scale generation and transmission. Both Prof. Ilic’s work and the APP seem to incorporate the assumption that the “best” (only?) way to add significant distributed generation, intermittent renewables, storage and demand regulation, is to apply them to the existing grid infrastructure in a way that will make them “play nicely” with the existing resources. The market and regulatory modifications suggested by both Prof Ilic and the APP paper imply that some analysis has been done to show that this is the most cost-effective way to decarbonize the system and realize other policy objectives such as increased resiliency. What we’re looking at here is whether a basic change in grid architecture, away from utility scale generation and transmission is a necessary alternative. An approach involving microgrid development (which I don’t see mentioned either in Prof Ilic’s work or in the APP paper), where microgrids are treated as a “multi-function” resource, as well as an alternative service delivery model, can possibly provide a more cost-effective approach to decarbonization than a “fix the megagrid” approach. Mr. Erickson – Your raise a good question and I don’t think it needs to be an either/or question. There’s room for both depending on the situation. One of the lessons Elinor Ostrom taught us is that the world is complicated and situational , often demanding a variety of solutions based on local circumstances (eg available resources). If you read through Prof. Ilic’s book she discusses a whole host of ideas including reconfiguring the distribution system and placing DER closer to loads. I have tried to distill some of her ideas into the list below. Also, when you look at it from an ecology perspective there are lots of examples of “self-organizing systems”such as as you outline and this makes a lot of sense. 7. Use multi-scale models for: 1) long-term policy adaptation and generation investment decisions, 2) determining midterm generation capacity needs that can influence market prices and 3) intra-day and intra-week generation scheduling needs. 8. Use look-ahead weather forecasting for to help better manage renewable generation resources to forecasted loads. I look at the power grid as the “secret sauce” to help deal with the intermittency of renewables. Microgrids and Islanding can be tools that are built into the system more or less based on available resources. You said that “The basic problem that microgrid implementation has today is that, under today’s regulatory structure, microgrids are impossible“. The way that the US power regulatory structure has been thought (Top-Down) need to be reviewed and adjusted to new circumstances, new available technologies and their implementation costs are requesting so, such as Micro-Grid Structures (Bottom-Up). Thanks for sharing the principles you abstracted from Prof. Ilic’s work. I think they’re all good ideas. However, from what I’ve observed with the CA ISO and utilities attempting to implement these principles, using centralized control systems to implement the technology required for market implementation is a hugely complex and expensive problem. The ISO needs total visibility into both demand side and supply side resources, and needs to be able to dispatch them reliably on an extremely short time scale. The telemetry required by the ISO, especially for dispatch of demand response commitments, is very expensive. For small scale distributed generation, the telemetry requirement changes project economics significantly. This is where microgrids become an important tool because a) they decrease the overall complexity of intermittent renewable integration from a telemetry and control standpoint; b) they can decrease the cost of implementing high penetrations of intermittent renewables, storage required for firming and coordinated demand response. The basic problem that microgrid implementation has today is that, under today’s regulatory structure, microgrids are impossible. There are simply too many regulatory barriers. If microgrids are to be fully utilized as a major part of grid modernization, these barriers need to be addressed. Dave – I agree with your comments. Prof Ilic has included a discussion of multilevel hierarchical control in her book for the reasons you outlined. She was also one of the reviewers of the American Power Plan which recommends changes to the regulatory system as you suggest. High energy prices are like a tax. Her book offers proof of concept ideas that can help to integrate higher penetrations of renewables at a lower total cost . This is as opposed to using FIT’s and other subsidies that are not economically sustainable though they have helped to play a key role in priming the pump. There is a trade off between costs of a communications infrastructure and power plant/transmission infrastructure. It is an operations research problem that needs to be solved. MISO is doing a lot of work on this. Given your work at the CPUC I hope you get a chance to read her book as it may help to identify possible solutions for you. California is on the forefront of dealing with these many challenges and we surely want you to be successful. Here it is a new piece of information called “MicroGrids Would Enhance Smart Grids” describing the energy performance of a pilot project 42-MW- micro-grid operating in the UC San Diego Campus. As I mentioned before Demonstration Cases/Pilot Projects can enormously contribute to develop new regulatory tools for these emerging cases of new power utility structures. Thanks for your comments. We’re fortunate in CA because we have several great examples of operating microgrids. Unfortunately however, these examples have not broken any new ground from a regulatory standpoint, as they are all implemented by a single customer and have a single point of common connection to the megagrid. From a regulatory standpoint this is the “safest” and also the least interesting. New York has done some interesting things with looking at crossing public rights-of-way with infrastructure, and negotiating franchise agreements, etc. I think there is another 800 lb gorilla in the microgrid room, which is the question of whether a microgrid operator is an “electric corporation” and therefore a public utility that is subject to regulation by the state PUC. This could be another huge barrier for microgrids, because they run right up against 100 years of public utility law. I believe that California needs to get the leadership in developing a Policy creating policy tools to approach the issue between Main Grid or Large Utility Concessionary and Micro-Grids, Distributed Generators operating in same area. Please visit the work made by “Paul De Martini” who has built his grid knowledge from the ground up. A 30-plus-year utility industry veteran of investor-owned utilities, as well as competitive wholesale and retail energy services, De Martini has worked on all sides of the energy enterprise, from electric systems operations and project engineering, to marketing and business development. As vice president of advanced technology for Southern California Edison, he led R&D, strategic planning and policy development for some of the country’s most influential smart grid deployments. He left SCE in 2010 to become CTO and vice president of strategy for Cisco Systems’ connected energy networks business, where he helped guide the networking giant’s entry into the smart grid market. In 2012, he left Cisco and founded Newport Consulting Group, where he advises utilities, policymakers, and large and emerging technology companies including GRIDiant, GridX, Power Assure, Space-Time Insight and Varentec. He’s a board member of Bit Stew and an industry advisory board member at VC firm Chrysalix Energy Venture Capital. 4. A possible combination and collaboration between IOU and private sector funding sources, perhaps lowering IOU required investment. My partners and I are designing and developing an affordable business model for, and constructing microgrid buildings that are also “community microgrid ready”. We are creating and building for a new energy future in anticipation of the changes ahead. The only thing that prevents us from feeding overgeneration of power back to the grid are the lack of incentives to do so, (no FiT’s in our current SF PG&E area). Instead we will use our excess for building integrated EV infrastructure, and use net metering only if needed. We plan to develop and help develop adjacent structures into our microgrid network and are in talks with property owner/developers. Our buildings and systems will be capable of complete islanding when needed, for extended periods of time and even indefinitely. possible place to look for an example of what can be done in the current California regulatory environment.”might be Marin Clean Energy”, and their “equal to PG&E base rate tier” FiT. I believe we are capable of making further advances through financial incentive for development, with some fairly minor regulatory changes that create incentives and hopefully participation from the IOU’s, rather than being at odds with them. Our local energy provider, which was virtually a monopoly, spent a good deal of time and money trying to keep MCE from becoming a reality, as it is a threat to their business and their traditional business models. We are however in a changing climate in the area of energy generation and infrastructure and the way it relates to global health, and my colleagues and I firmly believe that the most efficient way forward will involve adaptation, cooperation, and innovation on the part of everyone… IOU’s, public and private sector alike. My colleagues and I have been reaching out to PG&E, informing them of our progress, and seeking collaboration from and with them. They are watching, but not offering as of yet. We believe the time is right for IOU’s to start to invest in local projects that are “micro-grid scale”, as well as in private projects, perhaps in a similar way that Solar providers have installed and “leased back” facilities for consumers, and these projects should absolutely ALL include energy storage in the systems. If they do not, the IOU’s are in danger of becoming irrelevant in the long run, and will certainly stifle important energy innovation and development at critical early stages in the interim. The world cannot afford to delay in our opinion, and California is uniquely poised to take a leading role with the intellectual and solar resources we have here, combined with a temperate climate for tangible demand side efficiency gains and energy reductions across all segments of industry and development. Great discussion Dave, I’m going to answer your questions from a non-utility owned microgrid point of view where I see huge opportunities. Firstly, I think the microgrid as a proof of concept is well underway and is relatively easy to deploy within a single owner land boundary, with a single owner electricity meter. The technology to make a microgrid is in the supply chain and there are lots of innovative software writers making products to control microgrid in the market today. A single entity (University, Military, Jail, Corporate Campus) can develop a microgrid free from most of the regulatory hurdles and benefit from the increased resilience that a microgrid brings. With today’s PV prices and the falling price of fuel cells and energy storage, a single owner microgrid can really be competitive when compared to grid electricity. There will be a cost premium for the microgrid so this model is suitable for entities that value energy resilience and the fact that they can continue to operate with little or no interruption to service when the wider macro grid is lost. Early adopters have been in the research field and also entities that really value energy security and are safe in the knowledge that if the grid goes down then operations are not affected. See the FDA facility on the East coast and how that kept the lights on after super storm sandy as an example of one of the country’s many microgrid. A barrier to the early adopters can often be the large upfront capital cost. A microgrid is much more than just an emergency power supply and requires specialized planning and design. It has to operate as a self-contained grid, managing the delicate balance of supply and demand while providing the necessary electrical safety functions. Another barrier is the difficulty in combining retail NEM tariffs and wholesale tariffs. A self-contained microgrid needs energy storage to balance the microgrid when in island mode. To make energy storage cost effective, a microgrid owner is likely to want to participate in CAISO’s new frequency regulation market with the energy storage device. If a microgrid contains retail NEM generation there are sure to be regulatory hurdles to have a wholesale tariffs also on this same electricity supply. Taking the microgrid concept outside single land/building owners is where the opportunities get both interesting and complicated! A mixed use area of a town/city is an ideal place for a microgrid, somewhere where there is a mix of commercial and residential use with their differing load profile. As commercial loads ramp down for the day the residential sector is increasing. I do see a business model where ‘microgrid developers’ offer to set up microgrid with the security of a long term PPA similar to how community solar scheme can operate, reducing the upfront capital costs to the end user. The developer may be the buildings developer or a separate third party microgrid developer. Throw heat generation (fuel cells etc.) into the microgrid mix as well as electricity and you really have a self-contained system. As you have mentioned this is all very well for a single contiguous land owner, but the real key to unlock the future of microgrid is to develop microgrid in communities/eco districts. This is where the complications come in. The microgrid developer model is tough with any developer wanting to supply electricity to more than a few customers requiring the developer to become a utility and the huge regulatory barriers that this would entail. Should there be public rights of way in between some of the microgrid customers then existing utility franchise rights also come into play. A heat only microgrid / district energy system is far simpler to develop, but this misses the full opportunity of microgrid. 1. How do we make the utilities indifferent from a revenue standpoint to the conversion of areas of their distribution networks to microgrids? 2. How do we establish rate-based cost recovery in a regulated (bundled) environment? Except in very specific cases, my opinion is that we are not going back to retail deregulation in CA any time soon. Therefore, we are talking about a new bundled tariff for microgrids. Both wholesale interconnection and net metering (the only two interconnection options today) are inappropriate for general microgrids. 4. The current volumetric rate mechanism for recovery of T&D costs is basically an approximation of charges you would be paying directly for a capacity reservation/utilization and being able to sell capacity not actually used in some sort of real time market. Although this is similar to how we do transmission management today, the demand charge/capacity reservation model is not used because it is not appropriate for small customers. The volumetric T&D charge is a proxy that supposedly enables the utilities to recover the costs of operation and maintenance along with their guaranteed rate of return. It also provides a revenue stream to finance expansion of the system. This structure is not appropriate for microgrids because a) by and large, the microgrid tends to minimize the use of the transmission system, and therefore reduce the capacity requirement for transmission is significantly, if not completely reduced; and b) it ignores bi-directional powerflow, and puts the entire burden of cost recovery on the net consumer. 5. Given all these factors, in a microgrid, how do you bill customers (who can also be producers), transfer revenues to producers, and make the utilities indifferent to the existence of the microgrid from a revenue standpoint (i.e., be able to operate/maintain/profit from the distribution grid asset)? 6. The issue of the prohibitively high cost and complexity of engineering studies and possible upgrades that would be required to develop a “general” microgrid in the existing distribution network. Today these cost and complexity problems are a major contributor to the cost and risk of microgrid development that make it uncompetitive. What would change this calculus completely is if microgrids became cost-effective as an “alternative service delivery model” for the utilities. I actually got this phrase from SDG&E who has been the most proactive regarding microgrids. They use the reliability argument, and limit their consideration (today) to areas that have reliability problems. My guess is that they would either a) build the microgrid development model into their general rate case as part of grid modernization and reliability improvement and spread the cost across all ratepayers (socialization!) or b) advocate for a new tariff for microgrid customers that is pegged to higher reliability. I would guess that neither of these alternatives would get through regulatory scrutiny, but you never know. Personally, I come up with two possible alternatives to satisfy these criteria. I of course am not saying these are the only two. 1) Once an area is identified as a microgrid candidate, require the utility to “rent” the distribution grid in this area at cost + rate of return to a 3rd party that would develop and probably operate the microgrid. This 3rd party would have a contract with each customer (similar to a PPA) where the customer would pay a fixed monthly charge based on their average demand. There would also be the equivalent of a feed-in tariff arrangement where customers would be compensated for any amount they generate. 2) Use the fully automated transactive energy model where each element or node of the system negotiates a price for demand based on available capacity. This would generate a revenue stream for the utility that would depend on use of its distribution network elements. It would also implement the full prosumer model. The two alternatives you propose would both likely have the net effect of moving microgrid development forward, depending of course on the rates of FiT’s, and the TE rates being conducive hopefully to the benefit all involved. Would their also be room for the IOU’s to be actively involved in the development and operation of the microgrid(s) if they chose to do so, or does this create more regulatory conflicts that cannot be resolved? I would think that in CA, the IOUs should be able to compete for serving the customers in the microgrid. I would think that the objective would be to move toward a system where there was full competition for the microgrid customers, to provide the best service (however that is defined) with a deal for the customer that gives the lowest monthly (or annual) cost for both electricity and thermal energy. There is something of a model for this in CA with the Renewable Auction Mechanism(RAM). This program allows the IOUs to satisfy some of their renewable procurement requirement by auctioning the the available DG capacity on select distribution feeders. You could probably do something similar with available microgrid capacity. This is great to hear. Yes I agree that any microgrid development should be an “open market”, encouraging the IOU’s to participate and compete equally. Use of their existing grid infrastructure and maintenance thereof are separate costs and issues, but they would likely add that into their “package plans” to be competitive yet hopefully not to gain an unfair advantage. How could this unfair potential be averted? Perhaps a separate and equal fee for such ancillary services would need to be paid for equally by all providers, including the IOU’s? Origin Energy, Australia’s largest electricity utility, says the energy industry has underestimated the onset of disruptive technologies such as solar PV and battery storage. In comments made to a conference hosted by GE, the largest supplier of energy equipment in the world, Origin Energy’s head of energy markets, Frank Calabria, said the uptake of distributed generation such as solar and storage had taken – and would likely continue to take – the industry by surprise. The comments by Calabria shouldn’t be a surprise, given that Australia now has a total of nearly 3GW of rooftop solar PV, and one of the highest levels of rooftop solar penetration in the world. That, in turn, has led to falling demand from the grid, reduced wholesale electricity prices, and the mothballing of nearly a similar amount of coal-fired generation as a consequence. There is now a growing recognition of the disruptive influences of solar within the Australian electricity industry – something they did not want to admit even just 12 months ago. Energy ministers in NSW, Queensland and Western Australia admit to being taken by surprise by the take—up of solar, even after the ending of most subsidies. Queensland generators and network operators such as Stanwell Corp, Energex and Ergon Energy have also noted the profound impact of solar, although they vary about whether this is a blight, a blessing, or an opportunity to the future. Later, Calabria told RenewEconomy: “No-one anticipated the level of solar to have penetrated the market as much as it has today …. So industries like ours have to face the prospect of underestimating what they can do in the future. That, Calabria says, will clearly impact business models, although it is not clear how. Interestingly, Alex Wonhas, the head of the Energy Flagship division at CSIRO, suggested that distributed generation could account for up to 30 per cent of supply in Australia’s electricity grid. That just happens to roughly equate to the share of residential and commercial demand. It also accords with the predictions of Citigroup analysts in the “Energy Darwinism” report earlier this month. And it fits in with the new direction of Europe’s biggest utilities. Read this story we publish today on how RWE, the second biggest utility in Germany, is abandoning the centralised model of generation in favour of distributed energy and targeted markets. Calabria agreed: “We have to adapt the business model over time,” he said. Although just how that unfolds is impossible to predict. “No one has the ability to predict perfectly into the future. It is not absolutely clear how (a large utility) can participate along the way. Part of the problem lies with network costs, which account for 50 per cent of the retail cost of electricity. Matt McKenzie, the regional head of energy management for GE, said the huge investment in networks was making off-grid technologies financially viable, and that in turn was putting pressure on the system. This echoes a conclusion from Ergon Energy earlier this month, which suggested off-grid solutions would be cheaper than on-grid solutions for its customers by the end of the decade. Calabria noted that the networks, with high fixed costs and a capital-intensive structure, was particularly sensitive to small percentages in reduction in demand. McKenzie said that networks will still be required, but the operators need to consider battery storage and use this to deal with peak demand, and manage the peaks in demand. This would avoid further gold plating of the networks in the future, and reduce the incentive for people to go off grid. Calabria noted another surprise to the industry was the consumer response to rising electricity prices – or elasticity. The new Coalition government has based much of its policy thinking – and its criticism of the carbon price – around the idea that electricity is inelastic, people will keep on consuming whatever the price. Calabria suggested this was not true – and it is fairly obvious to anyone who has looked at the continued take-up of rooftop solar without subsidies, and the evidence provided by the likes of Ergon, Energex and the WA market operator. One obvious impact, though, is on wholesale prices. Calabria noted that the price of wholesale electricity was now at record lows – around $30-$40/MWh (excluding the carbon price), and was at a point where investors were not getting a return on capital. This is a point endorsed by Stanwell Corp, which reported earlier this month that wholesale prices and demand had fallen so far that it no longer made a profit from its 4,000MW-plus of coal and gas-fired generation. This, in turn, will affect the two key policy tests of the new government. The Coalition has said that it will deliver electricity price cuts of 10 per cent by repealing the carbon price. Calabria and others on the panel said the challenge was making this price reduction clear to consumers, as it was likely to be overshadowed by other factors – such as rising network costs (Energex has flagged a 10 per cent interest in those costs next year).